Some of the volunteers in the PIC-5k Event. straightforward: to try to make a huge impact in the lives of people in the region where we live, work, study, and raise our families through a fun-loving fundraising event in the fall. All the money raised through donations in this annual event goes to nonprofits. Volunteers cover all the operational costs. These last five years, PIC-5K has raised about $250,000, including the operational costs that are covered by volunteers who run this unique event. 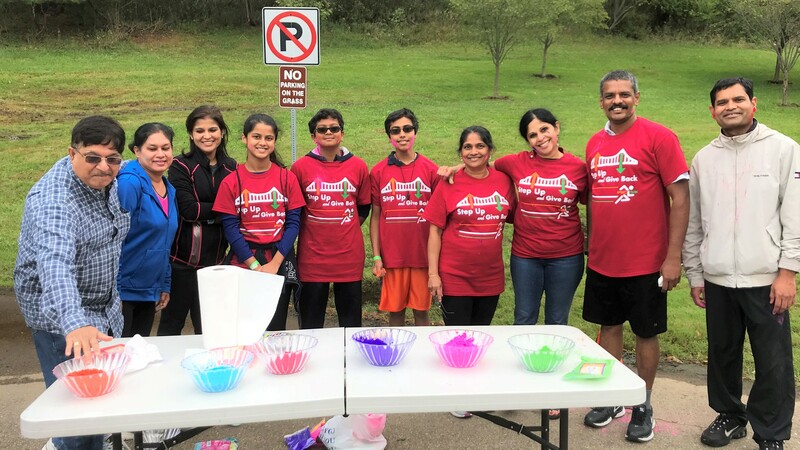 Thanks to the generosity of donors and the frugal approach of the organizing volunteers, this year, PIC-5K raised nearly $58,000 in the September 22 event. And the organizers will distribute the $58,000 raised in the event to various community organizations. 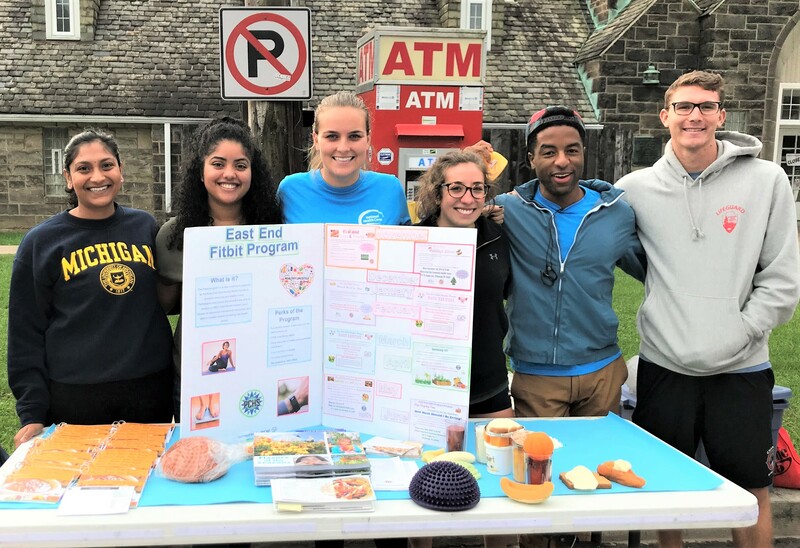 Volunteers at the East End FitBit Program booth. Greater Pittsburgh area mitigating homelessness, helping with healthcare and education for the needy, and emergency first responders. We request award recipients to use all the funds we donate to deliver programs to the deserving individuals in our region. We try to ensure that the recipients of our funds follow-through by requesting outcome-based reports following our funding guidelines. Book donations for underprivileged children. This entry was posted on January 19, 2019, 1:15 pm and is filed under January 2019, Past issues. You can follow any responses to this entry through RSS 2.0. You can skip to the end and leave a response. Pinging is currently not allowed.